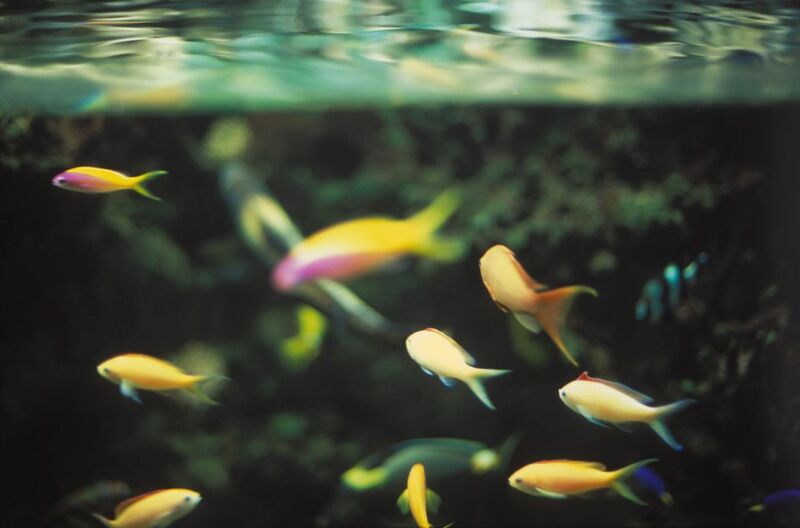 Maintaining water quality in a saltwater aquarium is of the utmost importance for a healthy tank. Aside from the normal day to day upkeep (checking water temperature, feeding animals, overall observations and water top off), saltwater aquariums and all of their components require periodic maintenance and cleaning in order to function properly. Biological load on the filtration system. Quantity & types of foods fed. Use of toxin (nitrate & phosphate) reducing products. Once your tank is cycled, monitoring weekly water quality tests will let you know when a thorough cleaning is a good idea. Over time, you will start to see trends in your test readings as well as observable changes in your tank livestock. Taking a couple of minutes every day to really look at your tank will pay big dividends. Take a minute to record your observations of anything unusual in your tank log book. Record the water test results in your tank log book. What are the Normal Sea Water (NSW) values? See the Table of Top Major & Minor Elements in NSW. What are the target water test levels? See the Marine Aquarium Water Quality Target Values. When you decide that a major cleaning is due, take the time (the more you do it, the less time it will take over time) to go through your entire system and do it right. Start from the inside of the tank, then work your way through the rest of the system. HINT: Placing a couple of old towels on the floor in front of the tank during cleaning helps protect the flooring from water damage. To start with, scrub the algae from the tank walls and submerged equipment. Top off with new (pre-mixed) saltwater. Retest parameters which were off, previously. Add supplements to adjust levels to desired levels as needed. Next is your filtration system. This is where a well designed system really pays off. The old adage: "The easier something is to do, the more often it will be done" rings true here. A turkey baster works great for this. Rinse in saltwater to remove debris. The water you siphoned earlier works great for this. Adjust air and water flow as needed. Wipe the cabinet and canopy down with a damp cloth, clean the aquarium glass with a glass cleaner or damp cloth and you are done. Take a minute or 2 to think about whether or not you should perform this maintenance more or less frequently. The amount of debris in your mechanical filter is a good indicator. When your mechanical filter becomes clogged and overpowered, contaminants will either be forced through or around the filter material, defeating its purpose. Quite often, you can get a pretty good idea of when your filter needs attending to by the amount of water that is coming out of it. If the water flow is slower than it was right after your last filter cleaning, it probably is due for cleaning.